blogomite! : What was your first word? Believe it or not, mine was Batman. According to my family, I would stand in front of the tv and sing when the Batman tv show theme came on. It premiered in 1966, shortly before my first birthday. 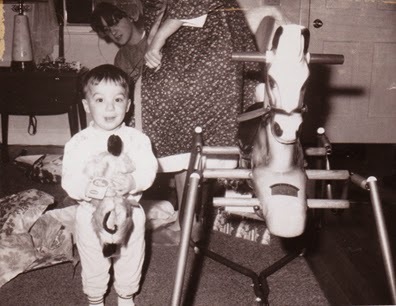 Here I am on Christmas morning in 1966. Notice my sister Mary in the background with curlers in her hair. 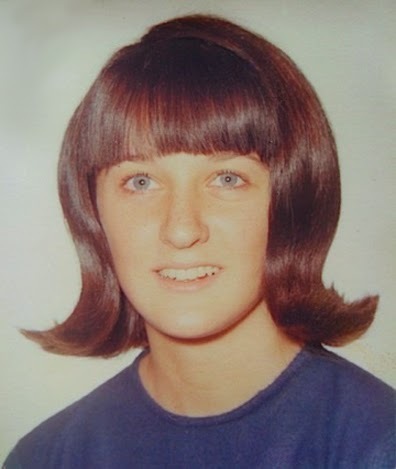 In the 1960s, my sisters would sleep all night in soup-can-sized curlers with their heads hanging off the bed so they could go to school with a flip hairdo.